Greeting citizens of Urantia, I AM Uteah ― a Trinity Teacher, and I reside on Jerusem, the Capital sphere of your local system named "Satania." Around me on Jerusem are a series of architectural spheres that function as an administration center that serves a greater planetary organization of up to 1000 inhabited worlds--Urantia (Earth) is one of the planets within the domain of this organized system. "Urantia" is the name given to your planet (Earth) by the Creator Father and is known by this name throughout the universes by the spirit beings and celestial administrators that work to guide the eternal careers of souls that are born there as they pass through the experience of living on a world in time and space. After your lives are lived and you have populated your souls with the various experiences of life on Urantia, you shall transition to the afterlife. Your afterlife begins here on seven progressive architectural spheres called "The Seven Mansion Worlds of Satania". The details of this afterlife, the cosmology, and the goings on there, are more intimately defined in the Urantia Book and I would refer you there to learn more. However, because many of you do not have the background teachings of the Urantia Revelation, I will speak plainly to you seeing that many of you are searching for truth and meaning in a world that is very disconnected from the greater realities that lie beyond this mortal life. This disconnection was mainly due to a rebellion that happen in this system (Satania) over 200,000 years ago by the System Sovereign of that time you may recognize as "Lucifer." Like a virus, the Lucifer Rebellion spread to a number of worlds in the Satania system, and so it was decided by the high administrators of Nebadon (your local universe) to sever the intelligence circuits that connect all worlds in the system that nurture and feed the progressive energies that help developing planets evolve to a more enlightened state. Only those necessary circuits that sustained life were left intact, but were soon to be tampered with by Lucifer and those personalities that followed him into rebellion. It is necessary for you to understand the history of this that you may better know how and why your world has developed into the present state that exists today. Urantians know very little about the greater realities that lie beyond this world; the path of soul ascension; and the very reason for their being there. It is in ignorance of these realities that you struggle to find peace in your personal lives, social systems, and governments ― to move beyond conflict and war to a more enlightened era. Although the Lucifer Rebellion was officially adjudicated decades ago, and the leaders apprehended, there still exist the aftermath of that rebellion and the stain that was left there that continues to exert control on your world. It lives on through the biology of generations; military technologies and infrastructures; and the financial and governance systems that uphold the Luciferian values of unbridled liberty by an elite class to enslave humanity and continue the unspoken directives to prevent and deny souls from ascending to paradise. Your world is to move beyond this state of confusion. 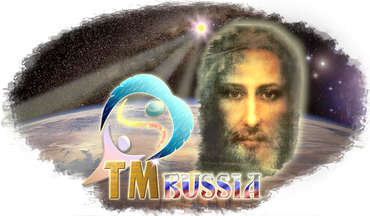 It is my purpose as a Trinity Teacher to prepare your world for a coming era of enlightenment called "Light and Life". Through a series of teachings, I shall progressively build on the ideas of Light and Life and how you may understand that you are more than a mere citizen of Urantia, but a citizen of the universe. It is necessary for citizens of Light and Life to have a basic understanding of the personal values and attitudes necessary to contribute to and become the progenitors of future generations that will be born into a world that understands universe citizenship--Light and Life. What might we expect to see, feel or intuit in our daily lives as the life circuits that had been modified by Lucifer and company are made whole? Machiventa Melchizedek once spoke on this subject. While the imprint of the Lucifer influence remains in our DNA, we can change that influence with our consciousness. DNA can be reprogrammed with your mind. And to realize and feel these changes, you need to practice stillness, where you can get the guidance of Heavenly Teachers.